The 6th annual UK IT Outsourcing Study, conducted by Whitelane Research in cooperation with PA Consulting Group, investigates more than 760 unique IT outsourcing relationships held by over 240 of the top IT spending organisations in the United Kingdom. All industry sectors are represented. Manish Khandelwal, IT sourcing expert at PA Consulting Group, says: “As businesses are increasingly technology driven, the IT supply chain cannot remain back office centric. While overall satisfaction levels with IT service providers remain high and outsourcers are generally seen as doing a good job of delivery, they must now prove to their customers that they are an essential part of the IT supply chain of the future as an innovation partner. If they are seen as bereft of new ideas they are destined to be relegated to the role of suppliers of utility computing”. 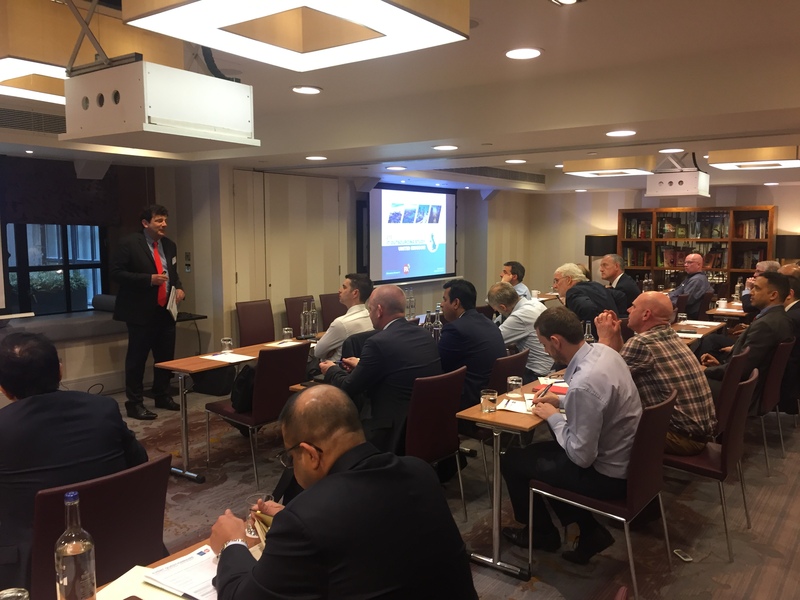 Above: Jef Loos, Head Sourcing Research at Whitelane presents the results of the 2018 UK IT Outsourcing Study in London. To request a copy of the UK management summary, please click on the button below and fill out the required information. If you would like to purchase a copy of the full report containing more detailed information, such as the main sourcing trends, ranking of the service providers by IT domain as well as by 8 different KPIs, please email info@whitelane.com. If you would like to receive a copy of the management summary please fill out the required fields and submit the form below. Your request will be reviewed and a copy will be sent to you via email within 24 hours.